In an interview with Wired, the lead system architect on the next PlayStation console, Mark Cerny, confirmed that PS5 (naming still unconfirmed) will retain support for the current PSVR headset. Sony revealed the first details of its upcoming console today in an exclusive interview with Wired. Therein, Mark Cerny, who has worked as the lead system architect on both PS4 and the next-gen PlayStation console, said that the upcoming system would feature a more powerful CPU and GPU, advanced audio processing, and radically faster mass storage. When asked about PlayStation VR—which recently hit a 4.2 million unit milestone—Cerny for the first time confirmed that the company fully plans to support PSVR on the next-gen PlayStation console. “I won’t go into the details of our VR strategy today, beyond saying that VR is very important to us and that the current PSVR headset is compatible with the new console,” Cerny told Wired’s Peter Rubin. That’s great news for early adopters of PSVR (both players and developers), who will be able to plug their current headsets into the new system. Whether or not the entire back catalog of current PSVR games will be supported isn’t 100% confirmed, but the Wired interview does state that, “because [the new console is] based in part on the PS4’s architecture, it will also be backward-compatible with games for that console,” so there’s hope. While Cerny wasn’t ready to say whether or not the company is planning a new PlayStation VR headset to go along with PS5 (or whatever Sony ends up calling their next-gen PlayStation console), considering the company’s year’s-long investment in building one of the most successful VR ecosystems out there, it seems likely they will want to continue. Nintendo’s recent dip into VR has likely only encouraged Sony further, along with the competitive advantage that PSVR has brought the company’s current consoles over Xbox. PS5 will of course bring big performance improvements over PS4 and PS4 Pro, and that should mean a graphical leap for the current PSVR headset, even if a new one doesn’t launch with the console out of the gate. Though the present PSVR will still be limited by its relatively low resolution, throwing more graphical horsepower at anti-aliasing and more realistic graphics can have a night and day difference even on the same headset. That extra power could also be used to raise the framerate bar from what most PSVR games target (60 FPS) to native 90 FPS or 120 FPS (which are also currently supported by the headset for games which are highly optimized). This will depend where Sony sets the bar in terms of the performance threshold that PSVR developers are expected to hit on PS5. 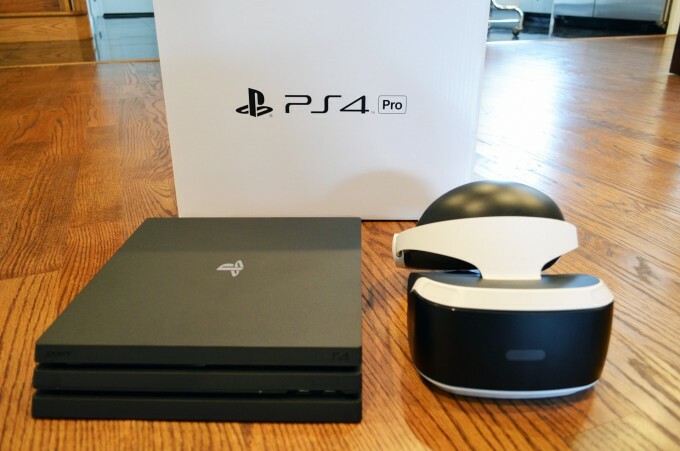 What’s more, if the company plans to release and upgraded PS Camera for the new console, current PSVR headsets could benefit as improved resolution and sensor performance could significantly improve tracking accuracy and latency. Cerny confirms that the next-gen PlayStation console will use a custom AMD CPU (eight cores, based on third-gen Ryzen) and AMD GPU (based on Navi). The GPU will support accelerated ray-tracing which makes highly realistic lighting more practical, as well as other ray-traced functions like environmentally-aware spatial audio. On the audio front, Cerny also says that the console will include a custom chip for 3D audio processing. This will enhance audio for traditional games, but ought to be especially useful for the immersion of PSVR. The current PlayStation VR has a breakout box which handles a handful of functions for the headset, including 3D audio processing. Sony has in the past said it spent a lot of time creating a realistic spatial audio solution for the headset, and it’s quite possible that work is now getting incorporated wholly into PS5 with similar advanced audio processing right on-board. Cerny fires up a PS4 Pro playing Spider-Man, a 2018 PS4 exclusive that he worked on alongside Insomniac Games. […] On the TV, Spidey stands in a small plaza. Cerny presses a button on the controller, initiating a fast-travel interstitial screen. When Spidey reappears in a totally different spot in Manhattan, 15 seconds have elapsed. Then Cerny does the same thing on a next-gen devkit connected to a different TV. […] What took 15 seconds now takes less than one: 0.8 seconds, to be exact. Such a huge improvement in I/O is great news for PlayStation games in general, but especially for VR where waiting around aimlessly in a headset while things load is especially bothersome. There’s more interesting details about Sony’s next-gen PlayStation in the full Wired interview, go check it out! Of course. They were never going to release a new PSVR headset alongside a new console. To much expense at once. They’ll wait a couple of year and release something fantastic whilst still keeping VR game development… developing. Good point, but keep in mind that the PS5 won’t release until at least November 2020. By then, the PSVR’s 1080p resolution will be extremely, extremely outdated. We’re already getting a high-quality full-RGB 4K HMD later this month – four times the resolution. Sure, but it’s a different market. The PSVR screen doesn’t become worse as tech improves. In fact, currently, the screen is better than most in respects to the dreaded screen door effect. Sure it’s blurry at a distance but the PS5 will mitigate that. Don’t get me wrong, I’d be willing to buy a new headset with inside out tracking, eye tracking with foveated rendering and better controllers tomorrow, but I just don’t think it’ll release at the same time as PS5. Some good points. Though the new PS5 hardware won’t improve blurriness – only aliasing (through supersampling). It would be a lot to launch them both at the same time. My bet is on “shortly after the PS5 launch”. Maybe fall PS5 launch, spring PSVR2 launch. I’ll pass… Sony will never overcome the PC Master Race.. Resistance is futile. Just have both. I enjoy my Vive and Steam games along with PSVR. Both have on offer lots of great things. Ha ha – top trolling! That made me laugh and I only have PSVR. Doubt anyone will bite though…..and you’re not doing your fellow pc owners any favours! If you say so, toots. While PC has better VR overall, the Sony exclusives are some of the best in the world. If you haven’t played God of War or Horizon Zero Dawn then you are missing out. Given the success that the PSVR has had, I’m really hoping that they do an updated version. 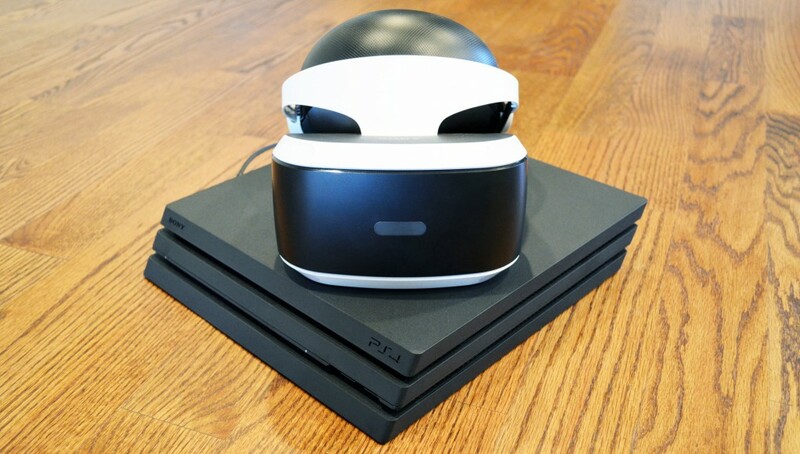 The Move controllers and PS Eye were already older devices when the PSVR was released, and all three aspects of the PSVR system have become a bit outdated by now. Sure, higher resolution and wider FOV would be nice for the HMD, but a newer tracking system that allowed for room scale VR and a more modern control scheme would make it awfully enticing. So glad to hear this. The psvr is great. It’s a great start but boy do I now wanna see a PSVR2 running on this thing. It’s cool that it’s going to be so backward compatible. At this stage in consoles, with solid backing by PC hardware, backwards compatibility should be simple. It’s not like the old PS3 “Cell” processor days, where hardware was super-unique. But I gotta say, PSVR doesn’t fit well into my “Consumer-Strategy”. I buy all of my games off Steam, because I know those games will (usually) be compatible with all VR headsets. I also take heart in knowing that I’m getting some of the most cutting edge games in development, not just older games ported from PC to the Console. VR is still very new, and well I do love Triple-A games, the most innovative games will be PC-first for awhile to come. Eventually these game-designs and VR interface techniques will trickle out to the Triple-A studios, but for now the real interesting stuff is still on Indie development friendly sites, like Steam and Itch.IO. You mean like resident evil 7 vr, astrobot, firewall? I play psvr and pcvr and being honest most of the best vr games i have played have been on psvr. I’m in the same boat. I have Vive and psvr and both offered tons of stuff. when you say you “got burnt pretty bad”, what do you mean? You could still play the games on the ps console you already had? And you didn’t have to buy the new one? Ah right, with you now. I remember being really cross about no backwards compatibility with PS4 to be fair – but then ended up buying some launch games and wasn’t interested in ps3 games after that. Do want to play my current PSVR games though! Ha ha – what a blinkered view! The people that actually know what they’re talking about recognise there are out-standing games on both formats. Wish I could have 2 set ups but not an option for me at moment. I’m sure they will have new vr controllers. If headset was fine all they need is freshen up controllers. But how will they track it? I hope not the same camera though.. Very good choice. I am curious to see how the PSVR will evolve. Currently it is maybe the worst tethered headset (especially for what concerns the controllers)… but now that Sony has had all the time to design it properly, together with a new powerful console, I guess it will be a great device. This will almost certainly be the case. It’s a good move by Sony to make the original PSVR compatible with the PS5. It’s all about growing that VR user-base and if they didnt do this theyd risk having some pretty peeved customers with a now-defunct headset who would possibly not be willing to stump up another £300 or so on the next-gen PSVR headset. Nice strategy. Release the PS5 first with backwards compatibility with the existing PSVR but with much better graphics. Later on (a year or more) release a new VR headset with foviated 4K video at 120fps. It’s great that Sony will keep supporting VR. 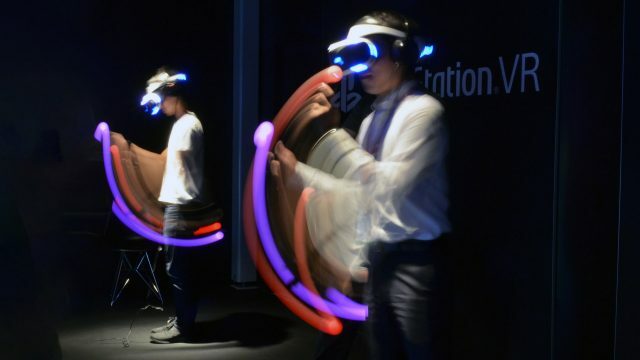 I’m pretty sure they will release a new VR headset for Playstation 5 after some time, but people that purchased the current PSVR will be able to enjoy it longer. While this is good news, I sure hope we’re not stuck with PS3 era input devices and tracking for long. They were terrible for VR to begin with.